Things to do in Maremma: oh, boy, this is going to be a long page! 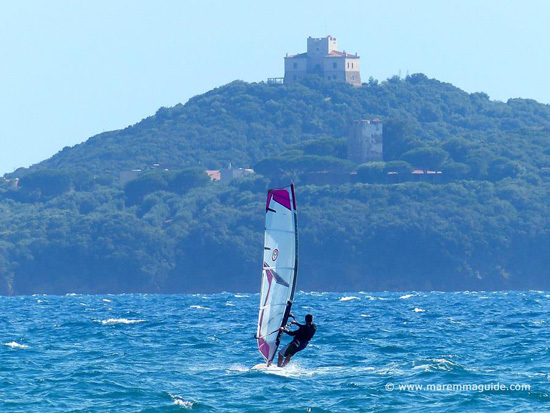 If you love the outdoors, the natural world, photography, water sports, cycling, walking... then Maremma is going to fill your holiday here with incredible experiences. And that is without mentioning the annual calender of events that include costumed medieval crossbow competitions, palio races, carnivals, food and wine festivals, outdoor theatre, live music and so much more. You will find all of those, month by month, at the end of this page. And is that wasn't enough, I have filled a page with wonderful places to visit too: all of them well off the beaten track in Tuscany and some of which no one else will tell you about. But because there are too many to include in that page, all of the medieval castles and Etruscan tombs and gorgeous beaches are in other sections! As are the tours you can take. Cook-up a whole menu of delicious dishes in a morning with a chef bursting with warmth and personality in her Michelin Guide and Gambero Rosso restaurant kitchen in a sleepy hill town in Maremma. Without a doubt and declared time after time by those who have taken one, these Tuscany cooking classes are one of the best things to do in Italy. Pick and mix from four individual classes, or book just the one. Six traditional Tuscan dishes. Pasta perfection. Sumptuous soups. And homemade sweets and desserts. All the classes end with a lunch/dinner of the dishes you have prepared, with wine, in the elegant ambience of the restaurant. The top floor of an ancient wool mill and granary. Over the course of three hours, you'll master how to make six traditional Tuscan dishes with practically next to nothing. Food to die for. TIP. If you aren't sure which class to take, this one would be perfect as it gives you a taste too of the other three. You'll be very hard-pushed to find another class that matches it. 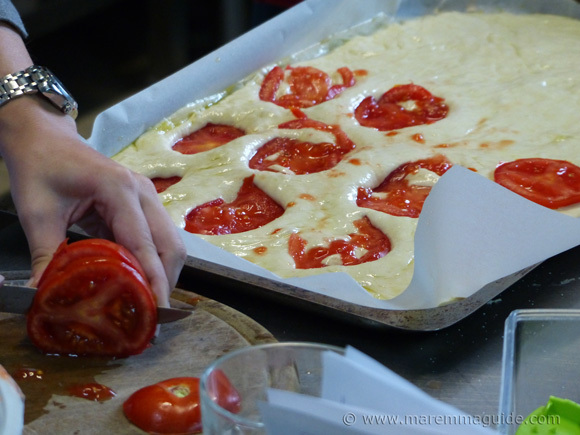 The traditional Tuscany cooking class. A PS. for any fellas reading this. This chef will have you working those arm muscles hands-deep in pasta dough, but you'll end-up winning the day over any ladies in the group with the best pasta you have ever tasted! Give it a go: you'll love it. The homemade fresh pasta class. But it is anything but just pasta. 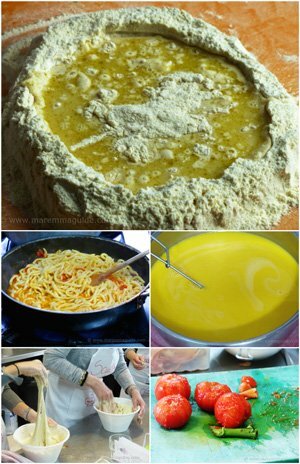 You'll learn how to make pasta with and without eggs. With only egg yolks and extra virgin olive oil. And why. 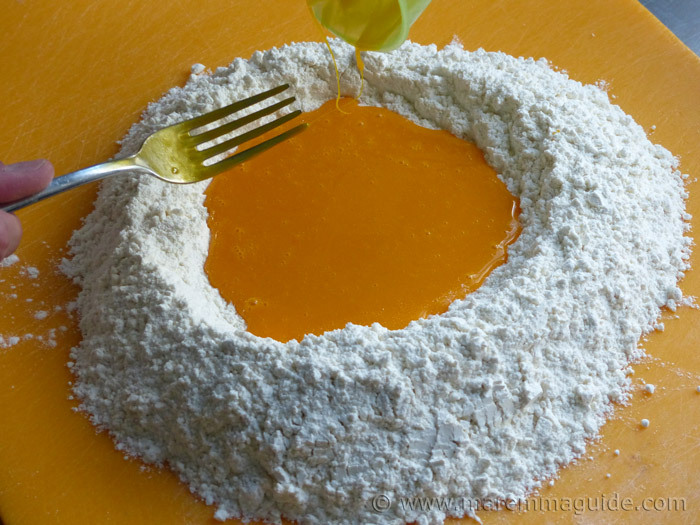 How to prepare the fillings for glorious stuffed ravioli. And meat and seasonal vegetable sauces to compliment your Tagliatelle, Tagliolini, Pappardelle, Pici, and potato Gnocchi. Plus. A whole LOT of professional tips along the way. Four hours of hands-on experience and a whirl of simmering pans on the stoves. 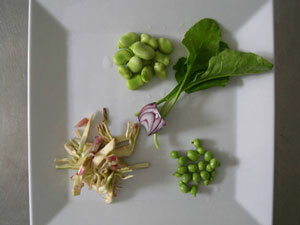 Find out more about this and the soups and Tuscan desserts classes here. 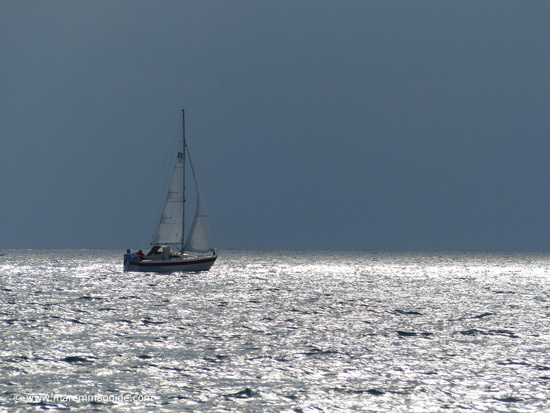 Maremma's coastline is a long one home to many accredited diving centres and schools. Its waters and those around the Tuscan archipelago islands of Elba, Giglio, Giannutri and Montecristo are home to sand banks, hidden caves and wrecks, where you will find some of the very best sub-aqua diving and snorkelling spots in Italy. 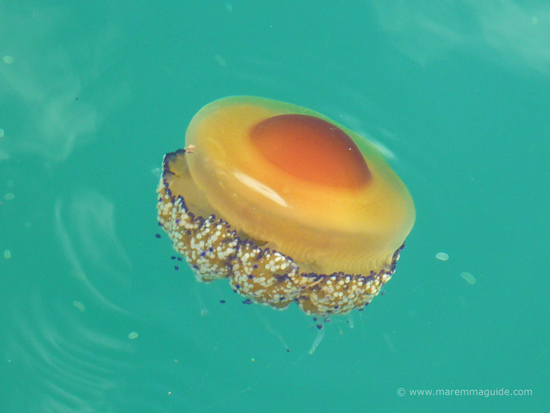 From morays to monkfish, amberjacks to Mediterranean barracuda, from nudibranches to spirographs... the sea is teaming with life waiting to be photographed. 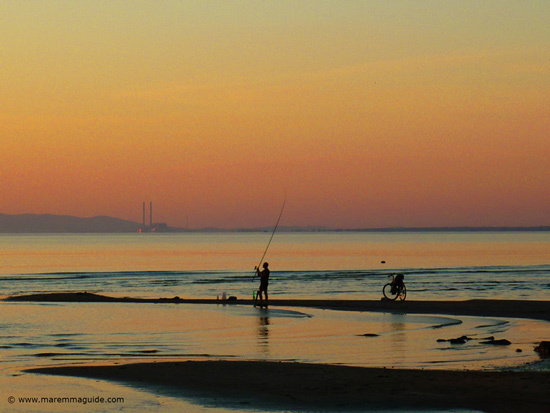 Although you will need to pay to fish in Maremma's rivers - it is easy to do, just pop along to the nearest post office, fill in a form (you can get one from any fishing shop too) and pay, - you don't need anything other than your rod and some bait to fish from Maremma's beaches and rocky coastline. And the bait you can readily find for sale in the local "pescatore" (fishing) shops in every main town along the coast. Otherwise bring your own flies! 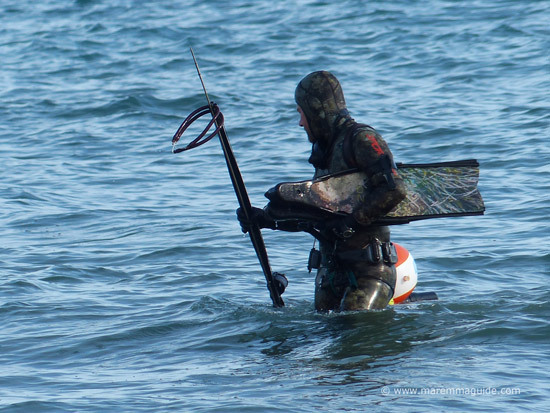 As is sub-aqua fishing. 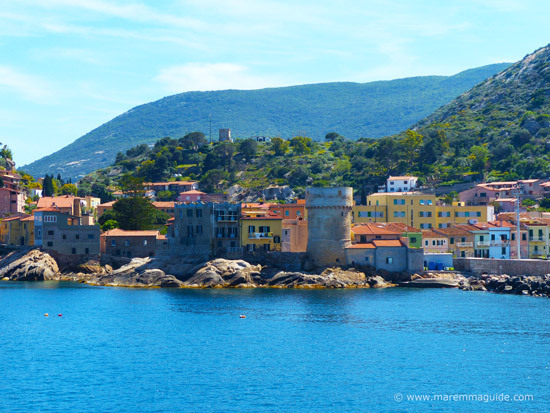 Many an Italians from Firenze and Siena arrive every weekend to do just that; boats anchored off shore from their favoured coves or further afield in the waters between and around the beautiful Isola d'Elba. Maremma's coast is dotted with many small ports and harbours that offer berthing, exclusive marinas - including the newly constructed Marina di Scarlino and the re-vamped and expanded Marina at San Vincenzo - sailing schools and clubs. And attracts an international sailing community throughout the year with the most important sailing event in the Mediterranean, the Tofeo Academia Navale e Citta di Livorno, or TAN for short. The Flying Dutchman National Championship EUROCUP, Maremma in Vela, the World Sailing October Match Race, The Finn European Championship and more. In the small port of Talamone you will find the fishing boat of a Maremmano fisherman and environmental guide by the name of Paolo Fanciulli. Featured in many of the official Tuscany tourism videos for Maremma, Poalo offers visitors the possibility of a whole day out at sea fishing with him whilst he tells you about the sea creatures and plant life that you will see and the environmental issues that face these coastal waters. You get to eat some of the catch in the nets as he and his assistant grill the fish and serve it along with other local speciality foods for lunch. 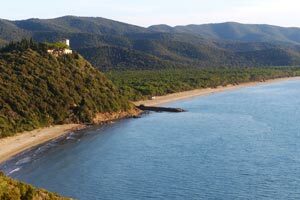 Depending on which trip you take, you can also get to see the spectacular coast of the protected Parco Regionale della Maremma from the sea. With a stop-off on the beautiful, did I say beautiful, white sand cove of Cala di Forno, to which access is restricted from land (the footpaths are closed throughout the summer) and requires a difficult six hour and 12.8 km trek when they are open! You get to get there by boat. This might not sound like much - hey, people take ferry trips every day, no? But this ferry trip is from a beautiful port town along Maremma's Silver Coast (says it all doesn't it?) to an equally stunning but much smaller port on a very special island. 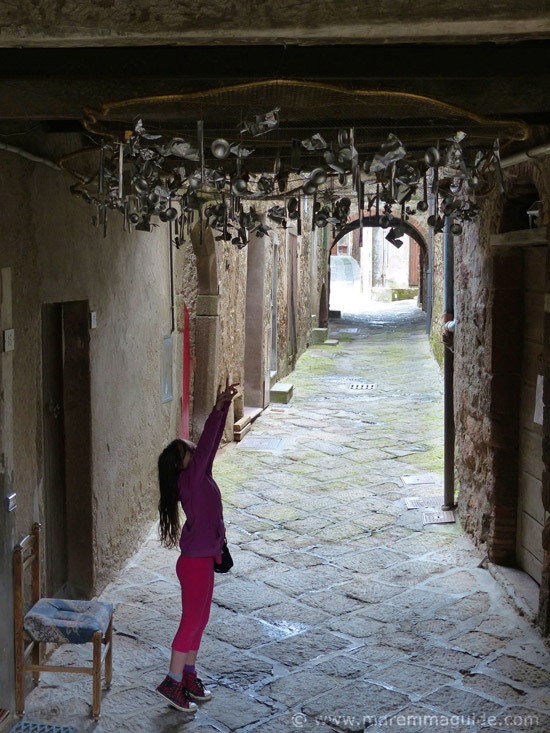 TIP This trip features as one of my personal top 10 things to do in Maremma. If you can go, go! OK, enough said! The Isola del Giglio has sadly been more famous recently for the Costa Concordia disaster, rather than its natural beauty. But ask a local Maremmano where their favourite place is in Maremma and many many will tell you that it is this little island. But for me, if you can pull yourself away from the colourful Porto Santo Stefano, it is the short ferry trip itself that warrants a mention. For you get to see the beautiful Monte Argentario coastline from the sea and some of Maremma's most exclusive private cliff-top villas: summer homes to some of Italy's most famous designers. No need to take the car. Leave it in the designated car parking areas in Porto Santo Stefano (only draw-back is that the hourly rate is high) and go on foot instead. (TIP Don't be fooled and think your luck is in if you find an empty blue-lined parking space opposite the ferry. Blue lines might normally indicate pay and display spaces, but these are reserved for port personnel only.) If you plan to spend the whole day on the island, there are buses to take you to some really gorgeous beaches and a castle to visit. You won't find Hawaii waves in this part of Tuscany - although one favoured and out of the way site is called "Rocky Point" because of its similarity to its more famous namesake - but that said, there are a lot of places where in the right onshore conditions, great surfing can be found for all levels of experience. There is even an annual surf festival - started in year (2013) - at Castiglione della Pescaia over a weekend at the end of June each year. 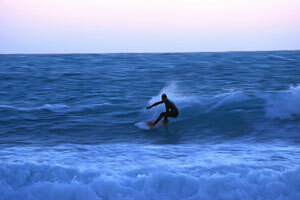 Check out the best Maremma surfing locations. 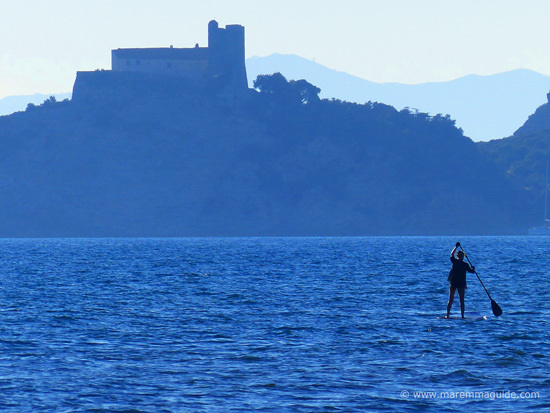 SUP boarding along the coast from beach to beach: this photo was taken near Rocchette beach, the location of the MaremmaSoul surf establishment where you can hire equipment and take a lesson. Now relaxing in natural hot thermal spring water baths set in stunning countryside fits both water and land activities so I have put it here between the two sections. And there are two to choose from. Watch a live archaeological dig or even partake in one! If you can't get there, you can see the daily photo uploads on the Facebook page www.facebook.com/miranduolo. Today's are already up! But if visiting a dig isn't enough and you would love to participate in one, then the John Cabot University at Rome in association with the University of Sheffield and the Archaeological Institute of America, is currently considering applications to join their Field School at the Alberese Archaeological Project. The dig dates are from July to August and will focus on the river port that belonged to the rich Etruscan-Roman spa city of Rusellae in the last bend of the Ombrone river. Archery, dune buggy tours, high ropes and more all in a day! For archery, cave and mine tours, dune buggy sightseeing, Quad/ATV excursions, horse riding, a high ropes course, mountain biking, hiking, or kayaking in the wonderful metalliferous hills or any combination of them! 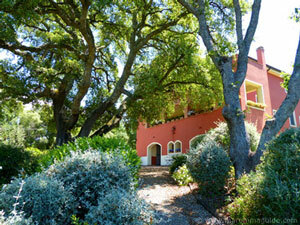 contact the lovely Italian-English husband and wife team Simone and Fiona at their base near Gerfalco via the form at the bottom of this excursions in Maremma page. 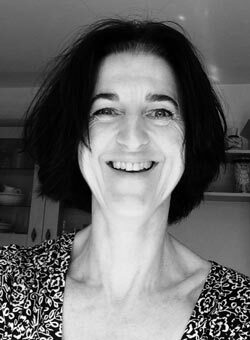 Apart from ensuring that you have a great time, what I particularly like about Simone and Fiona's adventure and activity programmes is that they take care to cater for children and families as well as individuals. Birders beware, you will probably have your other family members tugging at your binoculars to get you to leave as they will have had enough, but you will only have just gotten started. For Maremma is a birdwatchers paradise. You don't even have to travel to go spotting: for Maremma's vast unspoilt landscape of thick wooded hills, marshlands, lakes, lagoons and coastline are a natural haven for wild birds. And many of the marshlands are protected sites of scientific interest, amongst the most important wetlands in Italy, because of the very breadth of resident and migratory birds that they attract. So don't forget to bring your binoculars! The Festa delle Cantine in Sorano will see you tens of metres under this ancient city's winding medieval streets. In it's dark dank cellars. But you'll have to walk down steep "throats" to reach the wine! On your bottom if you're not careful! 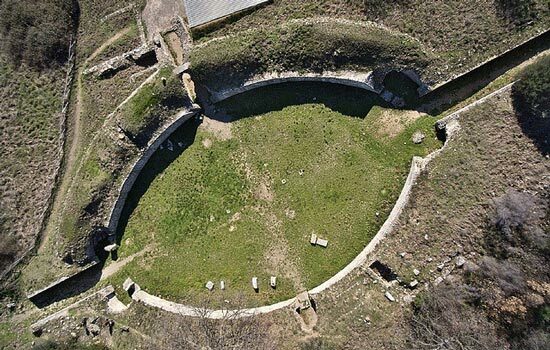 Maremma's vast metalliferous hill landscape is home to many an ancient mine, and to some that only closed their galleries in very recent history. Take an unguided walk off path through a wood and you will need to keep your eyes peeled, for chances are that you will come across an old "pozzino" - a mine shaft first dug by Etruscan hands and then medieval men and children, but now open, uncovered, and a deathly trap to many a woodland creature. But the please be aware factor aside - you will have to excuse me - you can take a safe and wonderful trip down into some of these. I have and highly recommend it for those of you who might like a holiday memory other out of the ordinary to accompany the wine by the pool ones. Like the idea of visiting a mine, but not getting muddy? Then there is a great alternative that is really easy going and fascinating to boot in the section especially for children at the bottom of the page. Walk the aisles of an underground "cathedral"
But. On the other hand. If that trip underground leaves you wanting more. And small spaces don't bother you. 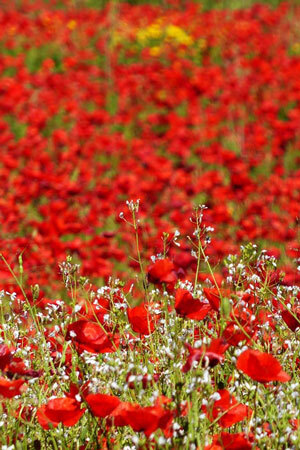 Not when the rewards are seeing the creations of millions of years of the natural world. Silently. At work. Drop after drop. 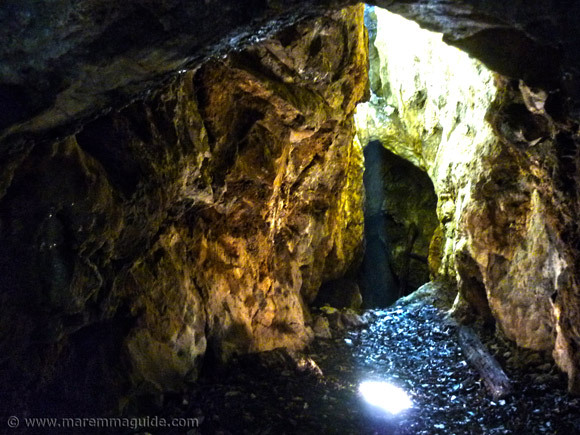 Then take a private trip with one of Maremma's local speleological societies and visit Tuscany's underground galleries. The "La Tomba", in the nature reserve of the "Riserva Naturale del Belagaio", near Roccastrada, is nothing less than spectacular. Now why anyone would want to cycle up some of Maremma's hills I do not know, but they do every day with a passion and physical fitness that I will never possess! I prefer to walk up them. Now to give you an idea of how popular cycling in la Maremma is, I inland live in a small village off a main road and not a day goes by when I do not see a tour group or two or three passing through or stopping at out local bar for refreshments. And, until two years ago, Maremma was also famous as an MTB cup location, with the yearly competition taking place both within the medieval streets and surrounding woodlands of spectacular Massa Marittima. There are many well-planned cycling routes, for all levels of difficulty, that will take you from coastal paths along the Costa degli Etruschi in Bolgheri wine country to the hills between the Val di Cornia and Val di Cecina, the Fiora valley and tufa towns of Pitigliano and Sorano, to Monte Amiata, lagoons, lakes, along Morellino and Montecucco wine trails and much more. The best web site by far for all the information you need to plan a great trip in the Maremma Livornese area is the official tourism website www.costadeglietruschi.it where you will find downloadable brochures with twenty routes and all the details in four languages. 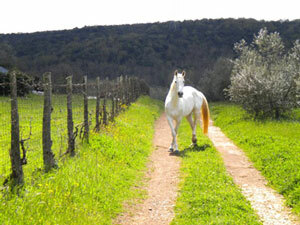 For the Maremma Grossetana area there is www.maremmabike.it. This site is only in Italian and you will need to enter the "itinerari" section and choose a preferred zone, length of trip and type of road etc in order to retrieve suggested routes. The trouble is whatever I entered came up with nothing and I put in multiple combinations not based on walking! But give it a try, you might have better luck than me. (It probably knew I wasn't a cyclist at heart!) 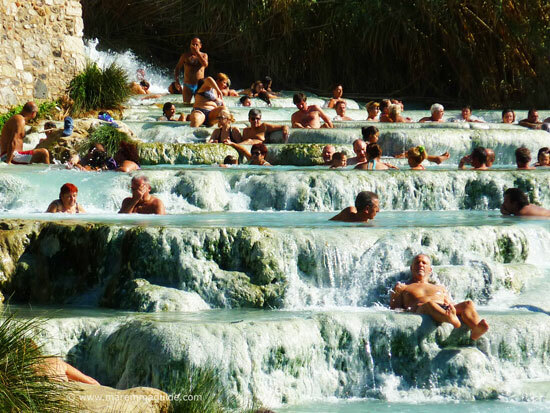 There are 34 daily itineraries and the Grand Tour of Maremma route that is a full 366 kilometres long. Once you have open a route page, it is downloadable too. 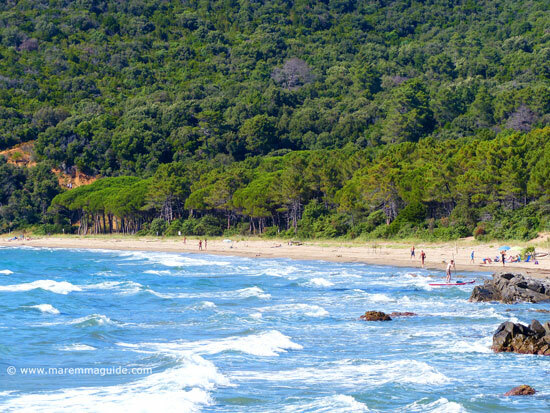 TIP For a family cycling trip that will delight, hire bikes in the village of Alberese and take the purpose-made cycle route through the Parco Regionale della Maremma to one of Maremma's best beaches: the Marina di Alberese. The route is flat and really easy going, but it is the native wildlife, the Maremmano cattle and horses that you will see along the way, as well as arriving on a wild beach landscape with driftwood structures ideal for playing cowboys and indians, that make the experience so special. For a game of golf with the backdrop of a volcanic mountain or alongside a spectacular beach, Maremma's golf courses are hard to beat. 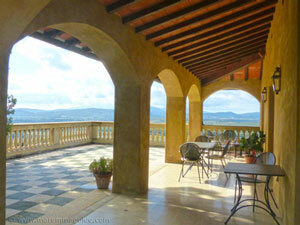 And the thirteen golf courses in the wider Tuscany area can be found here. 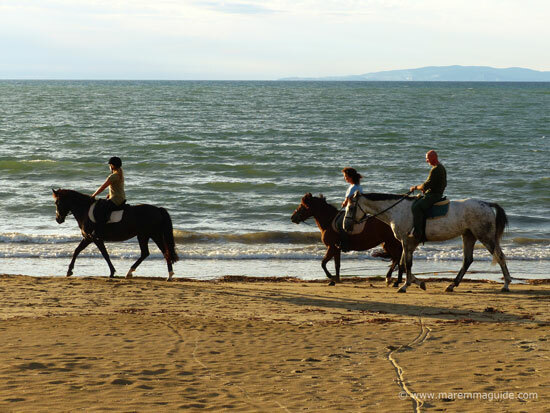 If riding a horse is something you would want to do every day of your vacation here, then your best bet is to book into one of Maremma's Tuscany farmhouses that offer just that: Tuscany farm holidays with horses. Alternatively, if you just fancy a day or two out on horseback, how about a guided trek through the metalliferous hills and woodlands with an English-speaking guide, who also offers lessons for children and adults alike. You can contact her via the form at the bottom of this page. If you are looking for something romantic to do together (even with children in tow), this night-time draft horse carriage ride (with a maximum of ten people) into the centuries old woodlands in the park with a Maremma specialities food tasting - and probably wine too, I'll have to check - should fit the bill. If you are lucky you will spot deer and wild boar along the trail. You will need to book in advance. Tickets cost 28 for adults and 18 for children between 4 and 12 years of age. TIP Keep an eye out in the local Tourist Information Offices for the "Divertimento in Natura" A4 promotion that will entitle you to a 5% discount on each of the activities in the Parco della Maremma and a 2 discount on the "degustazione prodotti tipici", the food tasting at the Visitor Centre in in the park in Alberese. 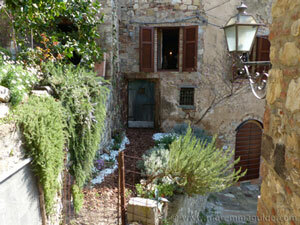 The experience of learning Italian in Italy doesn't get much better than in Maremma. We all learn best when we are relaxed and having fun and the guys and gals at this Italian language school in Maremma have it sussed. 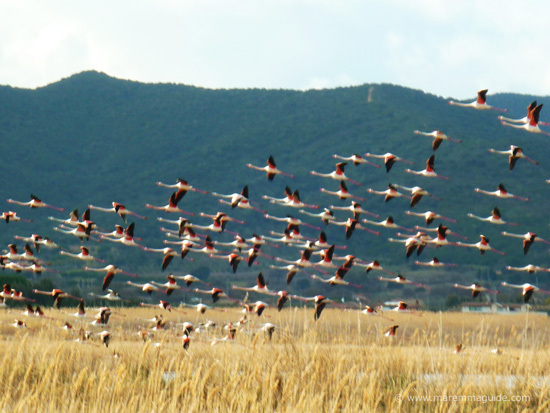 For not only is the location of the school based in one of Maremma's beautiful old cities - not only an old Etruscan city, but once even owned and occupied by the Spanish - it is along Maremma's Costa d'Argento (the Silver Coast) with a stunning lagoon home to pink flamingos. But the courses are combined with cooking lessons and wine tasting, archaeological and art excursions, sailing, snorkeling, surfing and horse-riding and more. If, like me, your last memories of shopping with your mum on a Wednesday or Saturday morning at an outdoor market in your town's square was when you were knee-high to a grasshopper, then the weekly town markets in Maremma might just be your kind of nostalgia. In these days of huge supermarkets and out of town industrial estate shopping centres, it is perhaps hard to imagine doing your weekly shop at stalls at an outdoor market, but the vast majority of stay at home women in Maremma still do. Every week on the same day at the same stalls. They will have known the vendors for generations, having accompanied their grandmothers and mothers to the same market from when they were "appena nato", just born. 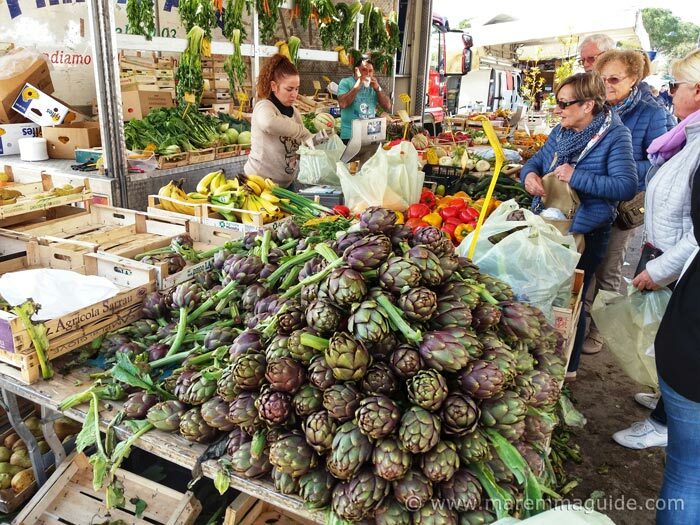 TIP You don't need to get up at dawn to experience a Maremma market, but if you arrive around noon, most will already have packed-up or be doing so. Including the markets here isn't to recommend them as a major attraction, but rather to suggest that if you want to savour what daily life in this part of Tuscany is like, then a stroll around one with time to loose will do just that. As well as opportunities to purchase all sorts of household paraphernalia, clothes (mostly all of the imported kind now), fruit and veg, salami and ham, bread, buttons and material, cheeses, underwear and pyjamas, shoes and handbags...It's an electic mix. They are social occasions. No one goes to the market in a hurry. Not least anyways down my way. Whether an amateur or a professional photographer, Maremma's landscapes, flora and fauna, will fill those SD cards before you know it! Here you can take photos of flocks of pink flamingos and sounds of wild boar, even at the same location if you are lucky. 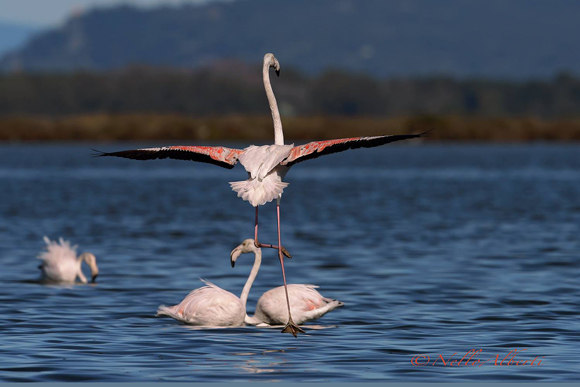 The flamingos can be found at the Diaccia Botrona nature reserve near Castiglione della Pescaia. Where if you are lucky, you might also catch a wild boar swimming across the canals from one bank to another. In any event you are sure to be able to take lots of photos of nutria (Coypu) there too, not to mention wild birds. And on the Orbetello lagoon. 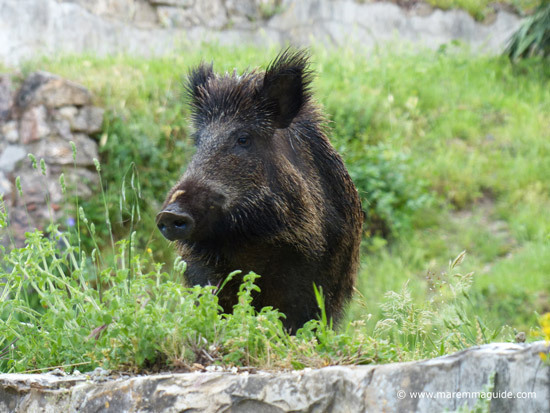 Especially great for really close-up images of wild boar is the tiny hamlet of Montioni in the Parco Interprovinciale di Montioni. Many a hunter stop by for their daily cafe there, but none are able to touch the boar! Skiing might not be the first thing that comes to mind when you think of Tuscany, but Maremma's volcanic mountain and highest peak, the Monte Amiata in the Antiappennino ranges, is a well loved ski resort and the best ski location in central Italy. Where snow conditions enable skiing through the winter. There are four cross-country Nordic ski trails of about 10.5 kilometres in total and ten kilometres of downhill Alpine ski runs that cater for beginners as well as the more experienced skier. A night skiing pista and a snow park for snowboarding. The vintage steam train "Trenonatura" - the nature train - takes you from Siena through the Crete Sienese hills and into Maremma country and back along a disused railway line. The train only runs on a few days in April and May, and then in October and November and December each year, with each trip coordinated to coincide with a local food, wine, or art and craft festival going on in the destination stops at the time. The 1 December one this year is a Christmas train with new olive oil tasting too. Most trips necessitate a bus or coach transfer during the day to the locations and then you'll be back on the train again for the return journey to Siena. 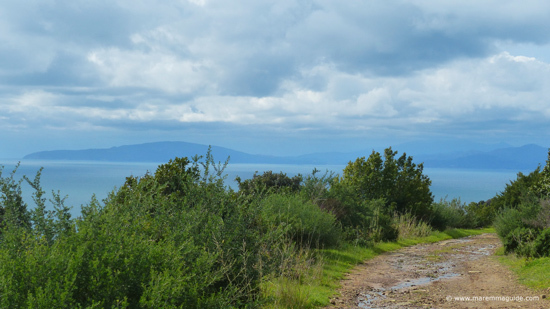 Guided trekking in Maremma that will take you down ancient silver mines, through Mediterranean macchia to the best beach in Italy, up and down medieval alleyways, to a karstic freshwater lake with a hundred and four Etruscan tombs, castles and coastal towers... and so much more. 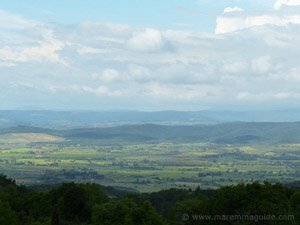 Off the beaten track Tuscany but not alone - trekking in Maremma this summer. 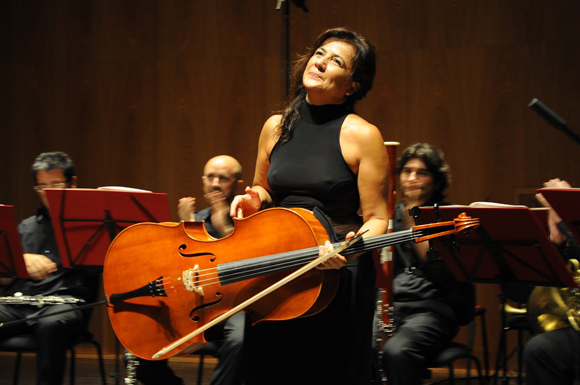 The Amiata Piano Festival in Tuscany, don't be fooled by the name: it's orchestral, opera, jazz and pop too in a setting unlike anything else. 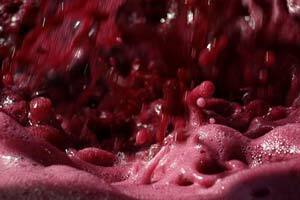 And, at the interval, the lovely staff will serve you glasses of fabulous wines from one of Maremma's best wineries next door - also happens to be the Gambero Rosso winery of the year! - along with traditional Tuscan nibbles of cheeses, salami, ham and more... Which you can sip on the concert hall patio as you watch the setting sun turn the sky orange, pink and violet as it merges into the silver of the olive trees and vines below. Don't miss it! 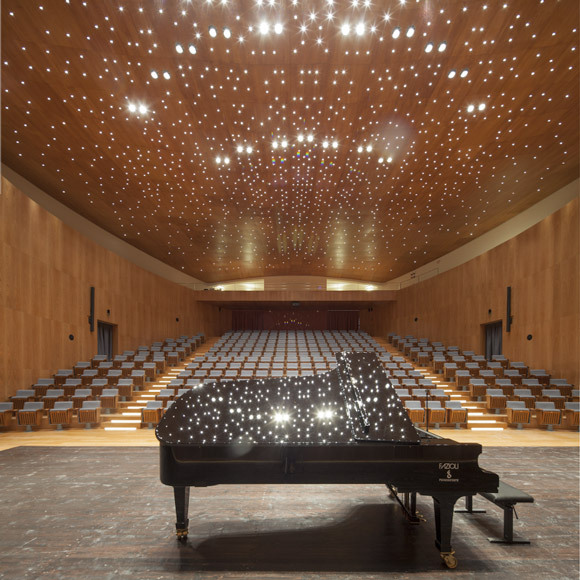 : the Amiata Piano Festival. Pack a picnic of wonderful local Maremman produce and wine and while away a few hours in a secret coastal location with blood-spewing beetles and wild boar in a jaw-droppingly beautiful Tuscan archipelago setting! When you are taking your shoes off to walk onto sand in a pitch black room, be prepared with an answer about modern art! The Mostra La Rocca in Roccatederighi. The trips depart every day from La Barca near the village of Alberese at 09:30 and 17:00 hours. You will need to reserve in advance. Tickets cost €16 for adults, €10 for children between 6 and 14 years of age. Children under 6 years go free. There is even a night canoe trip on Tuesday evenings from €21:00. Tickets €20 for adults and €10 for children between 6 and 14 years old. Even a toddler can feel like a big gladiator for an afternoon in the second smallest amphitheatre in the whole of the Roman Empire at the Parco Archeological di Roselle, near Grosseto. 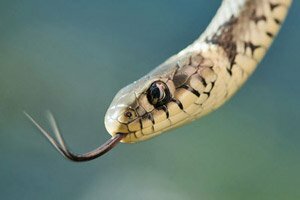 And if they are lucky - and, of course, careful where they put there hands - they might even find a shedded snake skin or two as wed did amongst the remains of the once Roman spa ;) You just need to look! 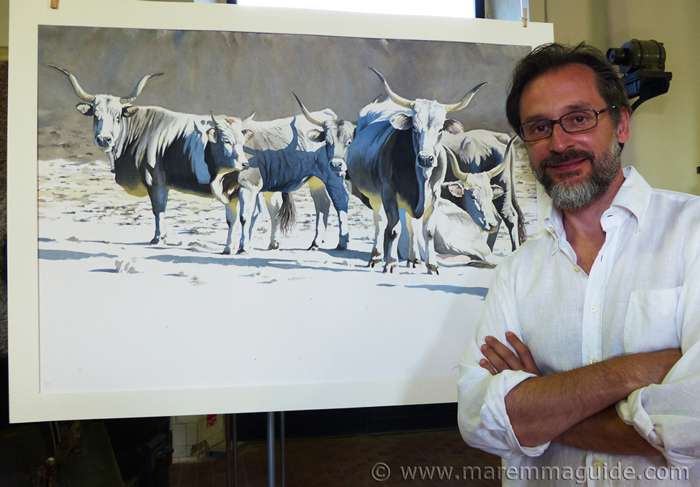 Taking-in a Maremma Butteri show as a family will set you back a bit in Euros as the tickets aren't cheap. But if your youngsters love horses, then watching the skills of a "buttero" (cowboy) at work could be just the thing as an end of holiday treat. 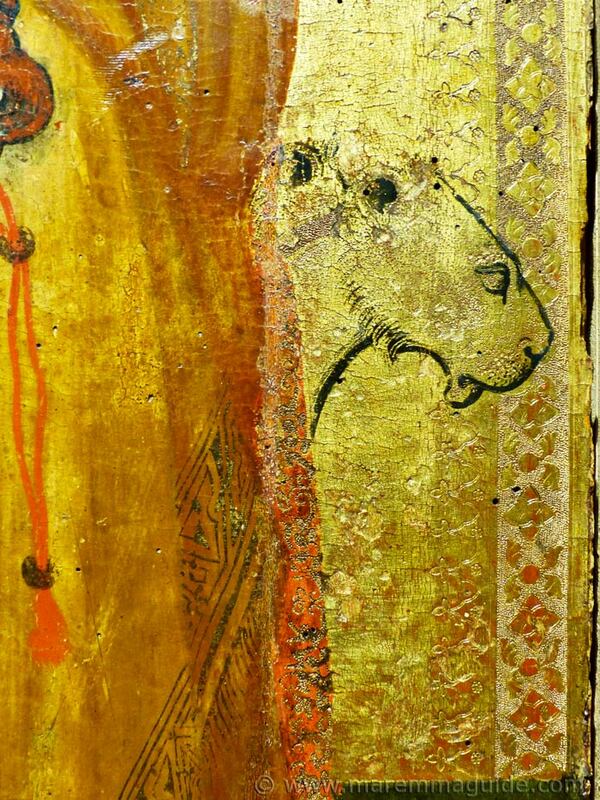 There are two organisations: the Butteri d'Alta Maremma at www.www.butteri-altamaremma.com and Equinus at www.cavellomaremmano. 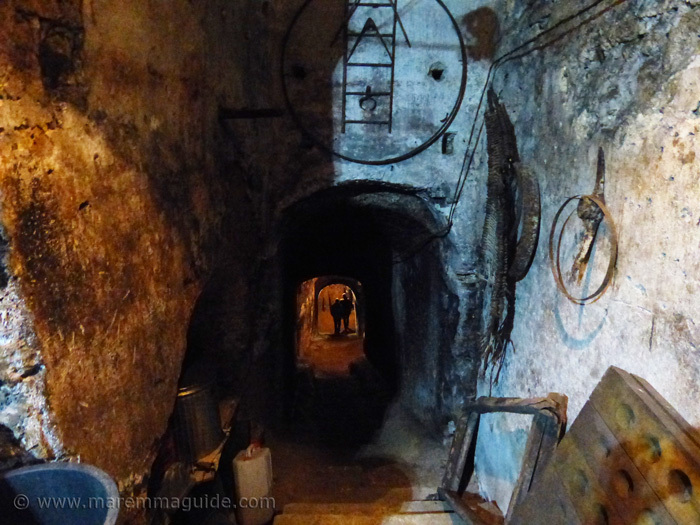 I have included this mine tour experience here amongst some of the wonderful things to do in Maremma with children because my daughter and her friends love it and we have been many times. And because the walk through the mine and the steps in the open galleries within it are all readily accessible for little feet. The provided hard hats might wobble a bit on and fall off occasionally from tiny heads, but it all adds to the drama. The mine at the Parco Archeominerario di San Silvestro near Campiglia Marittima was once an Etruscan mine, then heavily worked during the middle ages and only finally closed thirty years ago. TIP When you purchase your tickets you will be given a PArcheoCARD for each person. Don't bin them! They entitle you to a discount on the entrance fee at other wonderful sites in the area. You'll need to take a jumper as inside the mine it is only 14 °C. 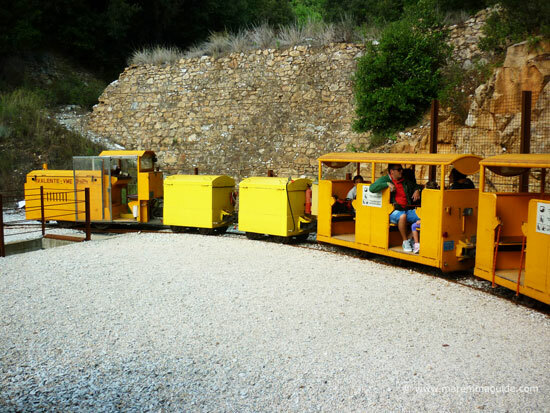 With a picnic, in combination with the mine train - highly recommended for kids - a visit to the abandoned medieval village, the visitor centre and the various treks around the mine site, the park easily makes for a whole day out, or a busy morning or afternoon that will require substantial of R&R after! 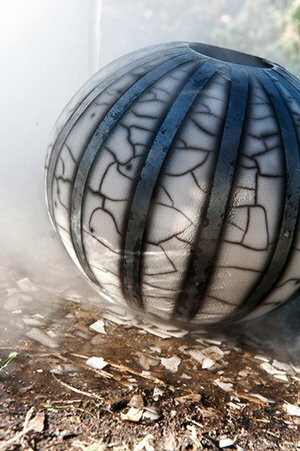 Throughout the whole year, Maremma has a rich and colourful calendar of events. 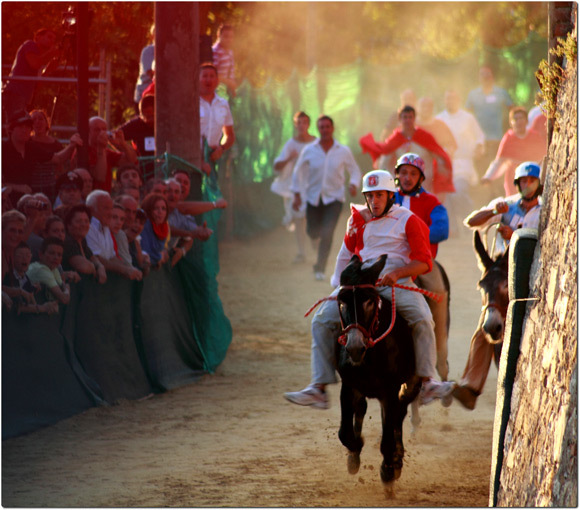 From film and photo festivals, to medieval crossbow competitions, grape and wine harvest celebrations, operas, open-air concerts, carnivals, donkey palios, Maremman Butterei cowboy shows, country livestock shows... and a whole lot more. These events are very much part of the local social calendar for people living in Maremma, with whole towns involved in their preparation and everyone attending from the new borns to the eldest resident, together with the populations of all of the neighbouring hamlets and hills. They are a great opportunity to experience rural life and the dolce vita in Maremma: simple living within a strong social network - a rich life indeed. February in Italy is carnival month. Although Maremma may still be considered by some as a the rural backwater of Tuscany, it's residents know how to party just like everyone else! 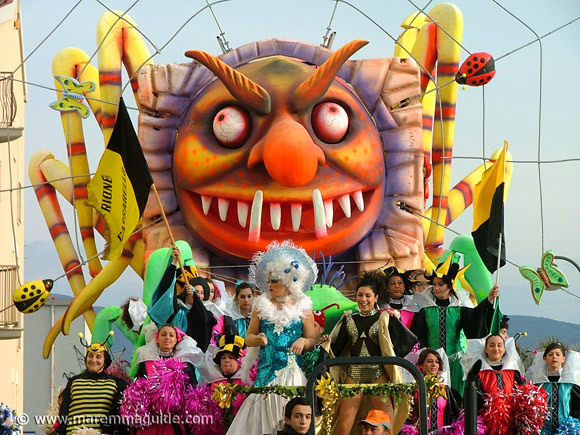 One of Maremma's biggest carnivals is the "Carnevale di Follonica", which fills roads alongside the beach in this seaside town with colour, music, and costume during the first three weekends in February of each year. 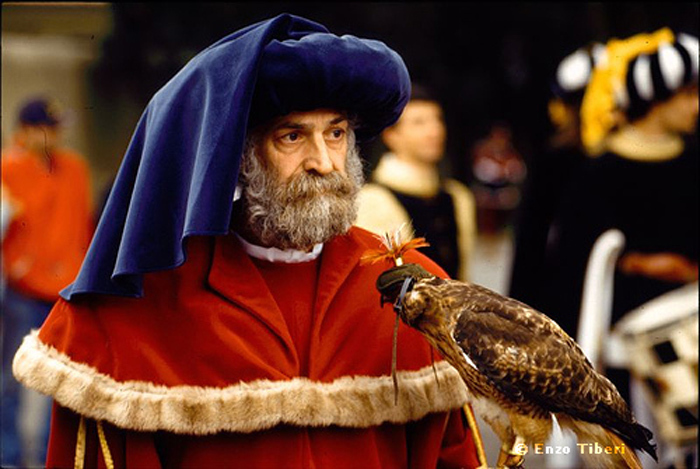 And one of its smallest takes place in the heart of Maremma, the Massa Marittima carnival: Carnevale Massetano. Maremma is home to many palios - competitions between the districts of a town or neighbouring territories - that range from the more well-known variety of horse races, to donkey races, and frog races - yes I did say frog! - and a regatta. Palios in Tuscany. 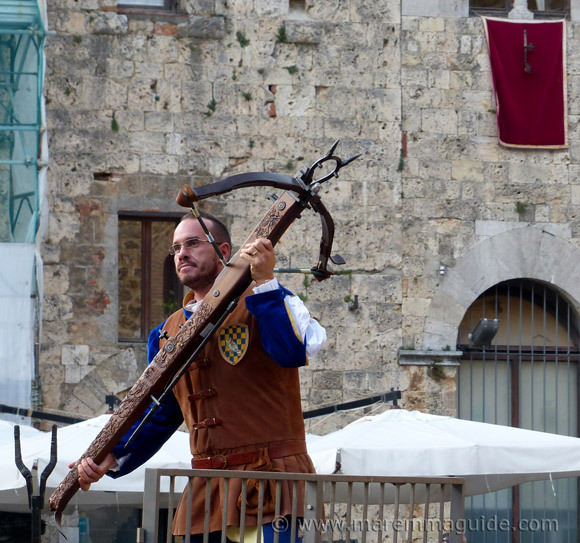 Without a doubt, and even though I have watched them many times over the years, one my very favourite things to do in Maremma is to be in the stunning metalliferous hill town of Massa Marittima when one of its annual medieval crossbow competitions is on. And there are three each year. No words can adequately describe the sight and sound of the costumed parade to the steps of the town's stunning cathedral. I have made a video to capture the sound of the drums as their beat reverberates between the ancient palazzo buildings in Massa Marittima'a medieval streets, but, even with the volume turned up to maximum, it still doesn't do the experience justice. The flagstones don't jump under my feet at home! 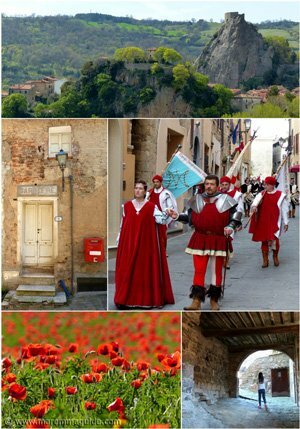 Don't miss these very special days out in Maremma: the Festa di San Cerbone and the Balestro del Girifalco. Testament to how much I love these events, I had forgotten that I had already written about the Trofeo San Cerbone competition in 2010! If getting up early on cold chilly October or November morning doesn't daunt you, then starting at dawn you can join the team at the organic Sant'Egle farm in Maremma to pick the crocus flowers before they open and lift the bulbs. When the morning's work is done - that means all the saffron is cultivated! - you get to learn first hand from the owners how to plant and grow saffron whilst sat around the farm tables separating the crimson stigmas from the flower petals and setting them out to dry. 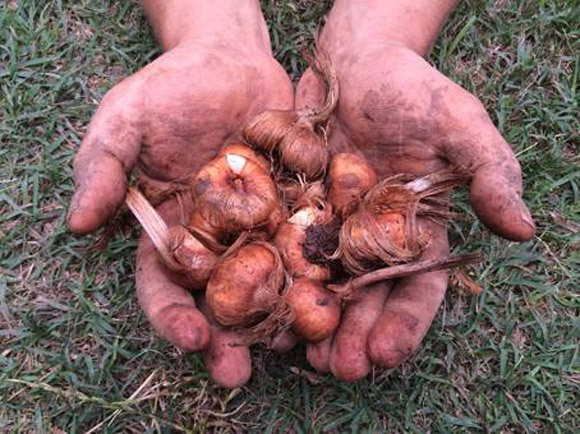 You can even purchase bulbs to get your own crop started for the following year. The whole course is free in exchange for your help with the cultivation. Be warned it is hard work and muddy! This isn't a doddle of a day out! If you don't fancy getting-up and driving to get there, you can stay the night before on the farm: it happens to be one of Maremma's very best. 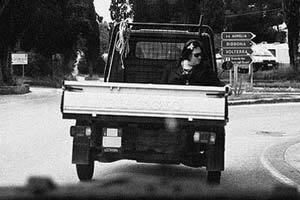 An evening out in December filled with stars that will first take you on a drive through sleepy hamlets and down narrow lanes into the heart of Monte Amiata territory in Maremma. That will bring a smile to your face as you approach when you realise that the concert hall is set within an olive grove and surrounded by vines. Will wisk you away into a magical world of violins, cellos, and opera and have you standing on your feet in admiration at its conclusion. But the evening doesn't end there. For after the music has finished typical Tuscan hospitality takes over and you'll be greeted with crystal glasses of Italy's finest wines and a delicious light buffet.